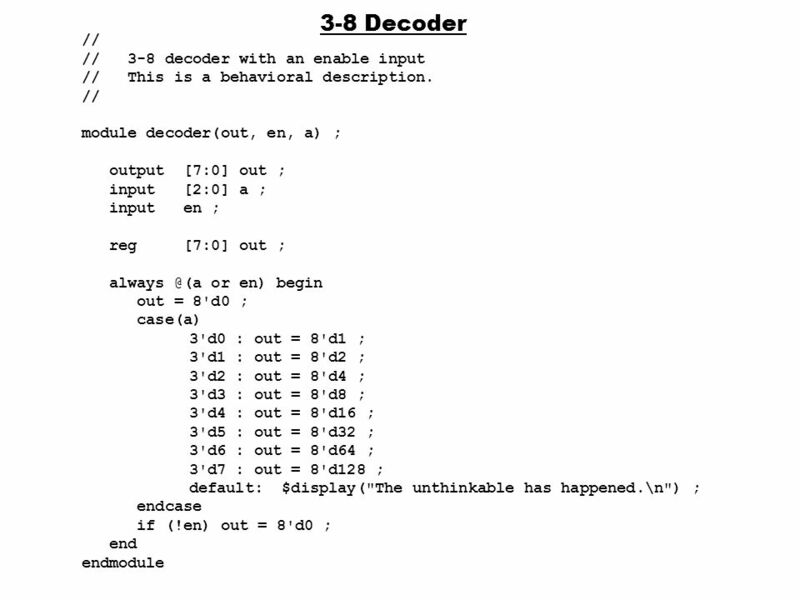 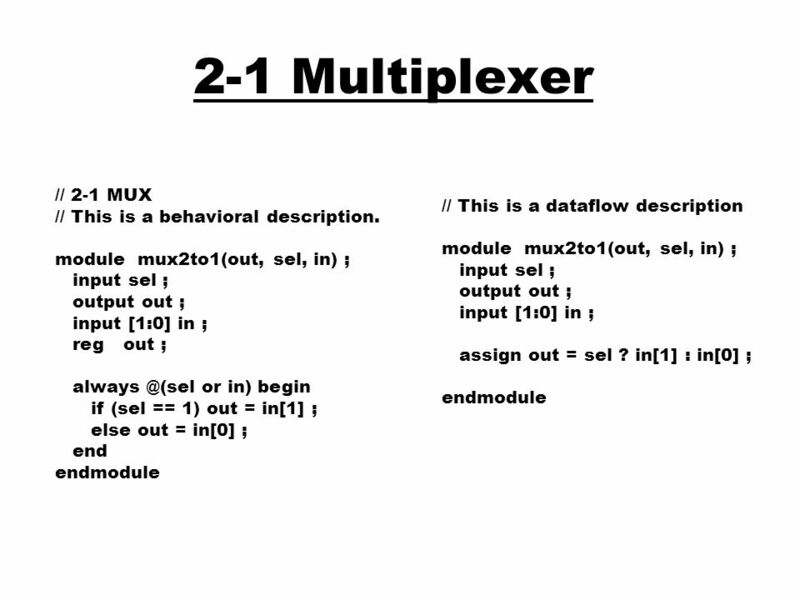 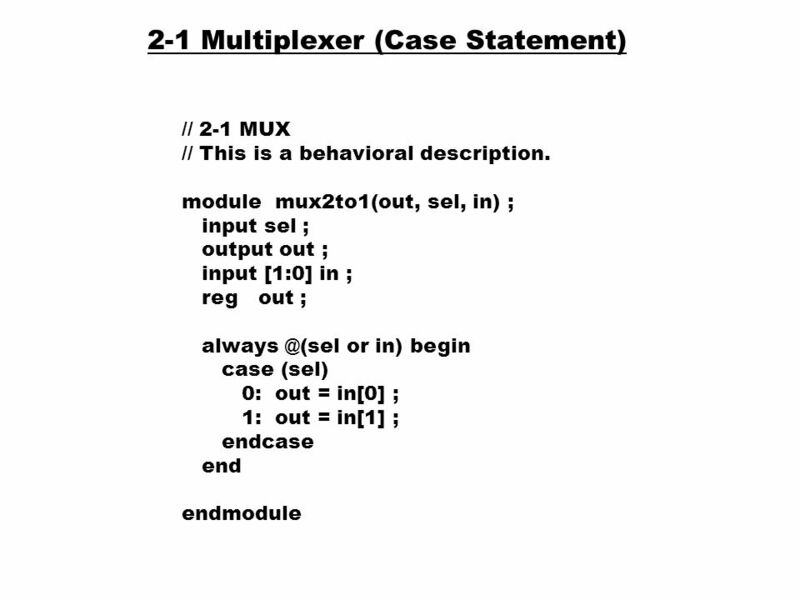 6 2-1 Multiplexer // 2-1 MUX // This is a behavioral description. 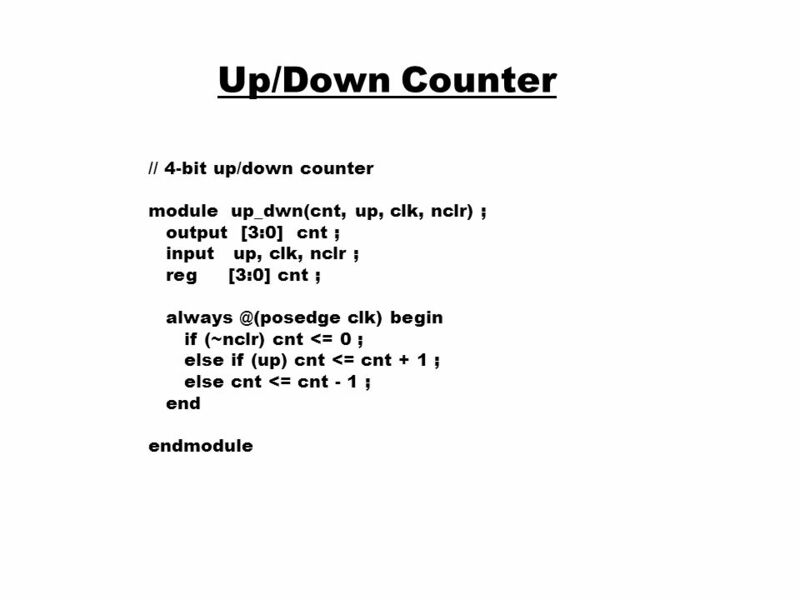 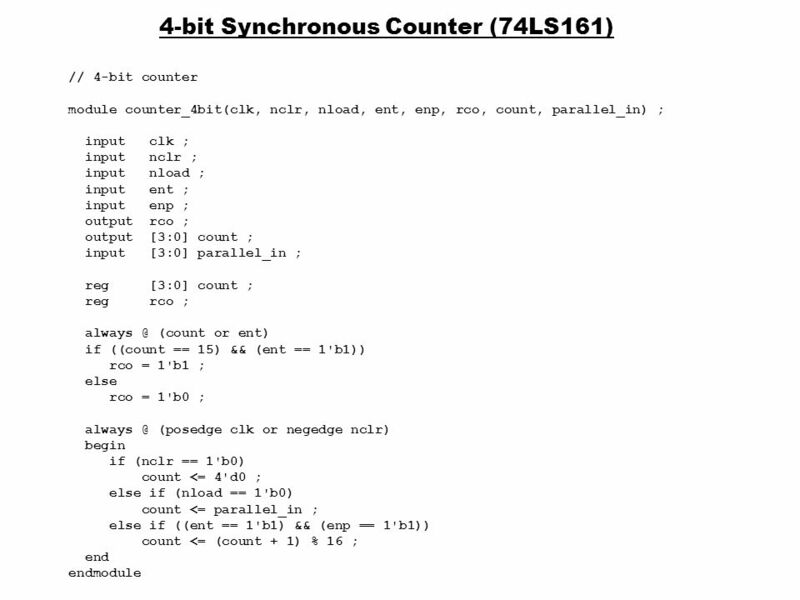 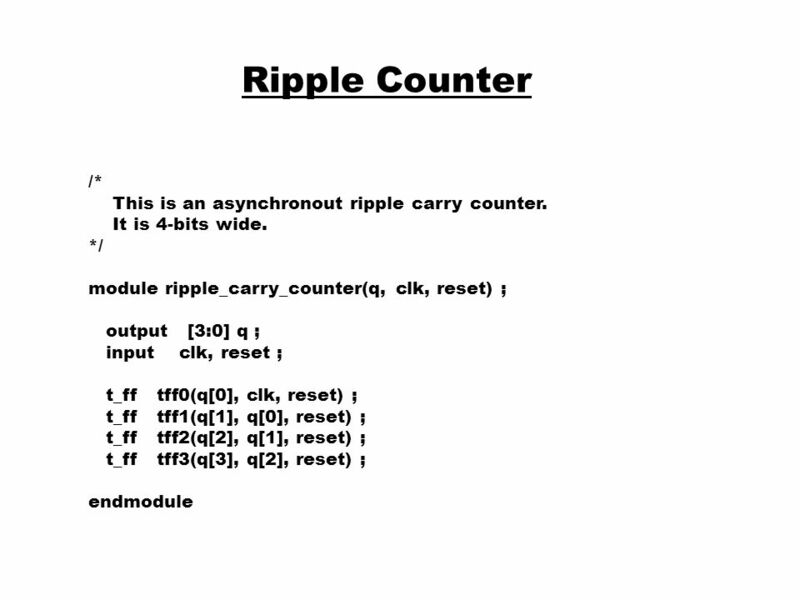 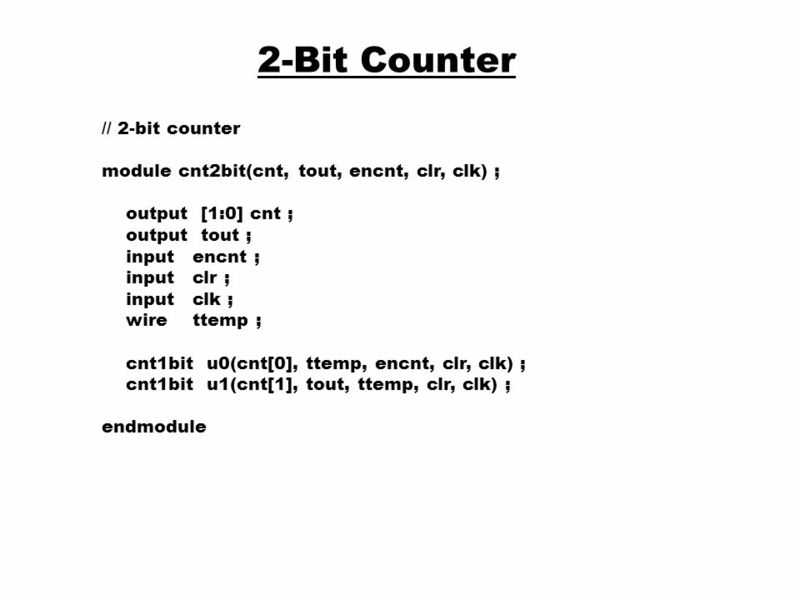 20 Ripple Counter /* This is an asynchronout ripple carry counter. 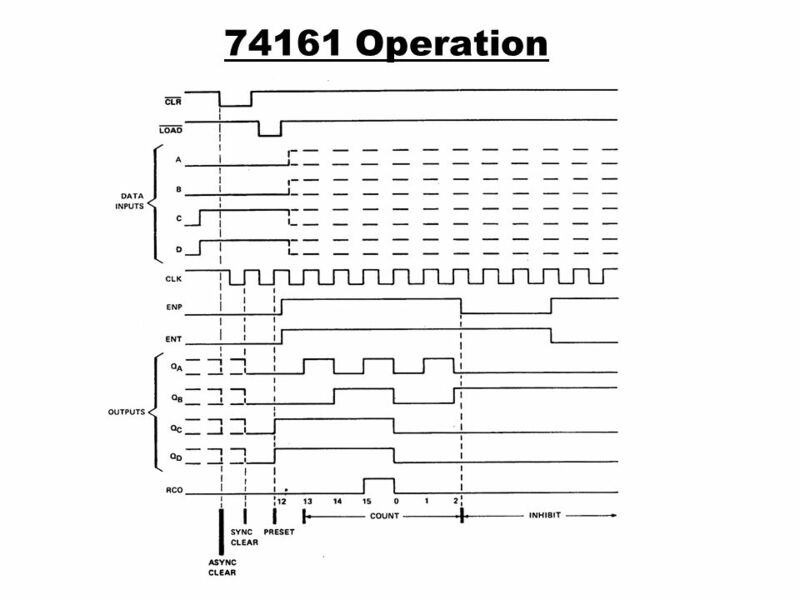 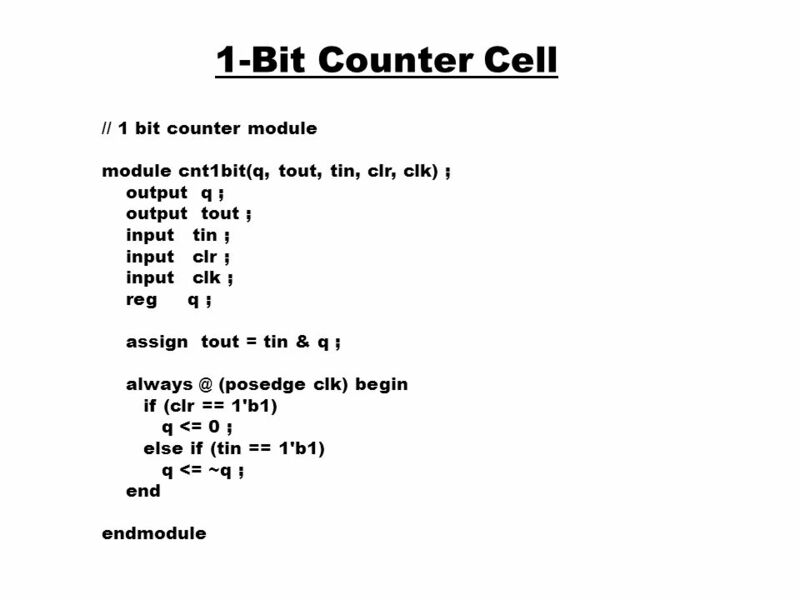 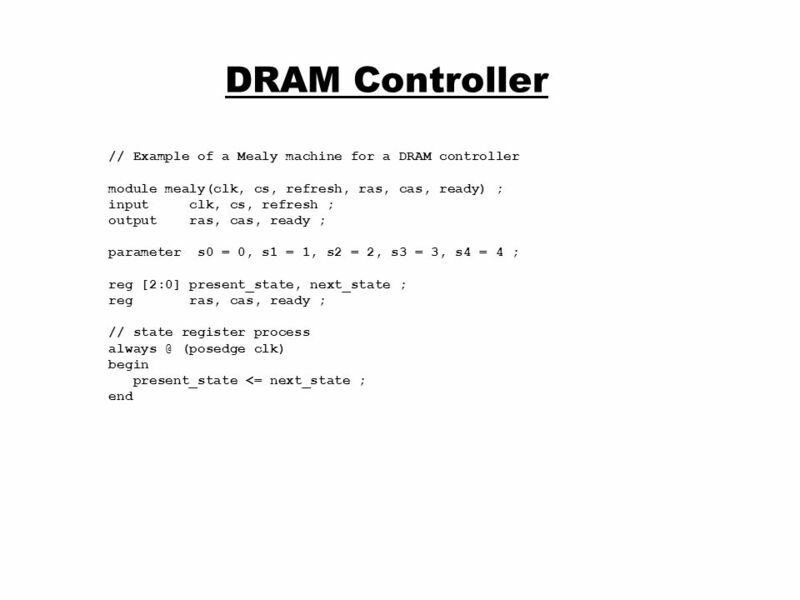 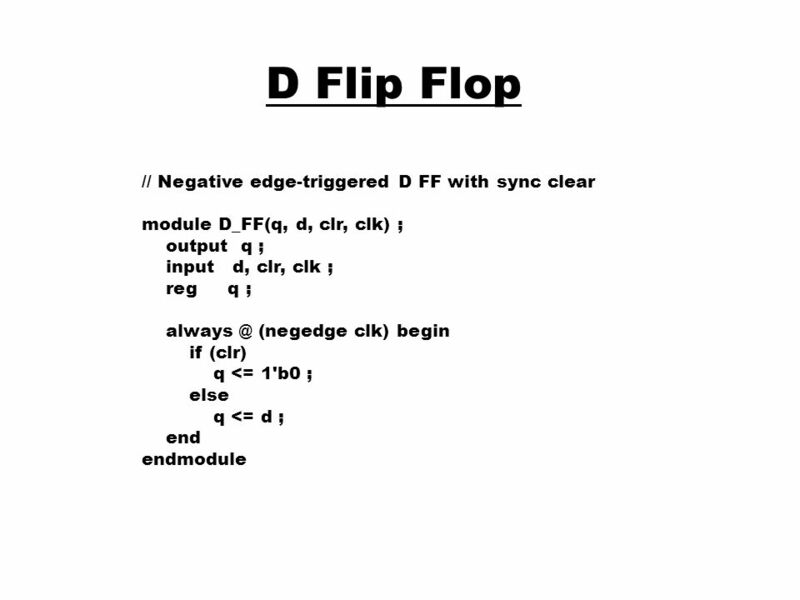 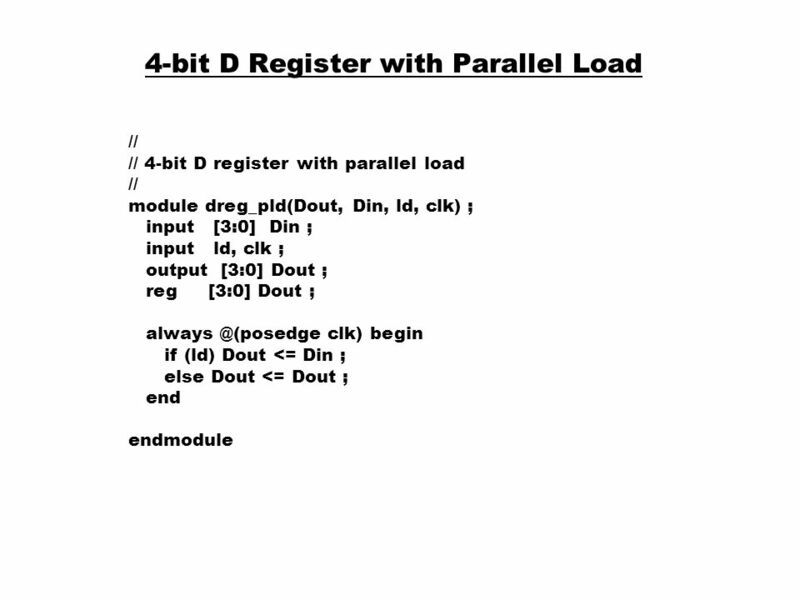 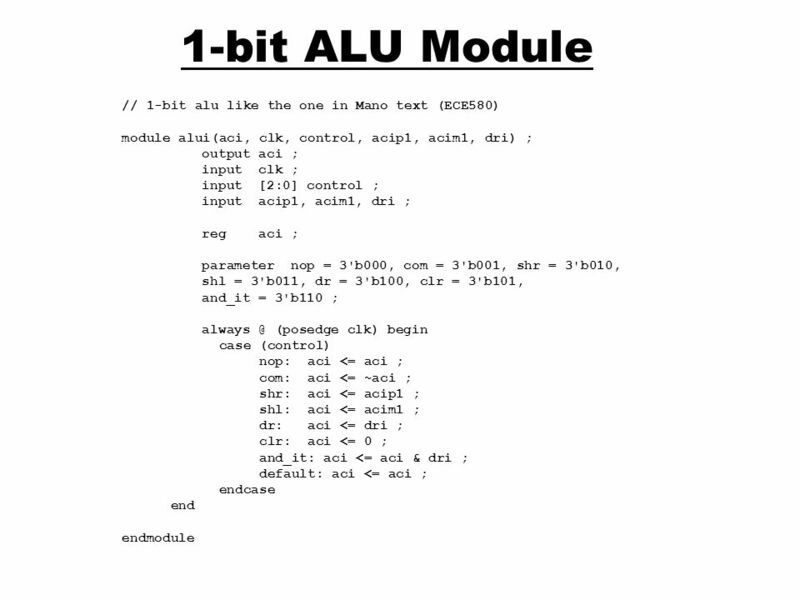 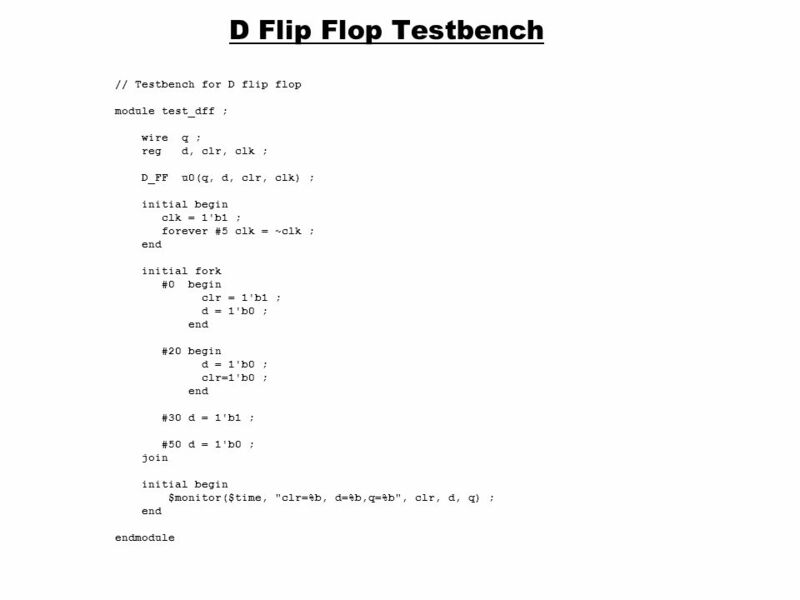 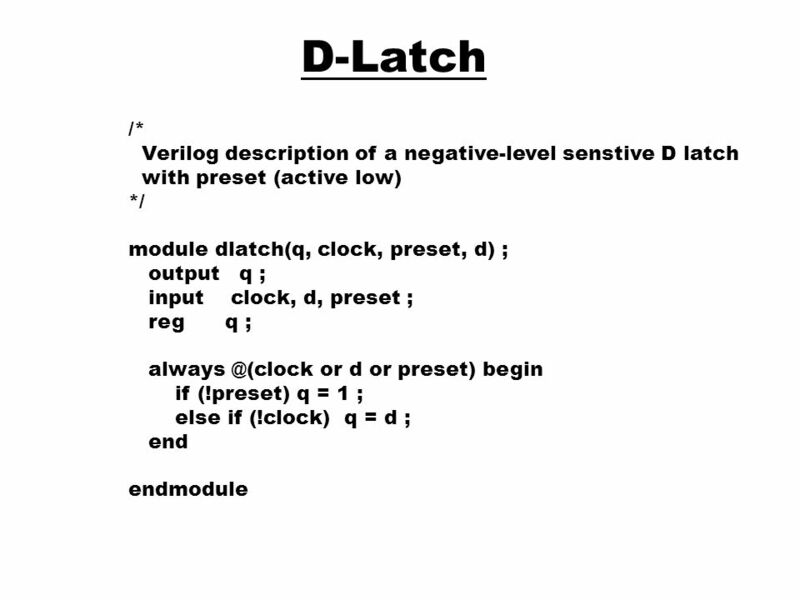 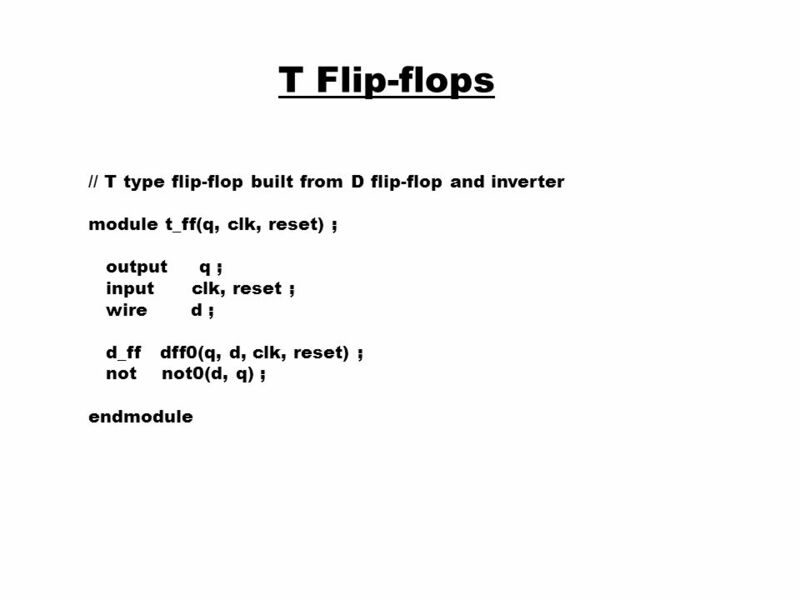 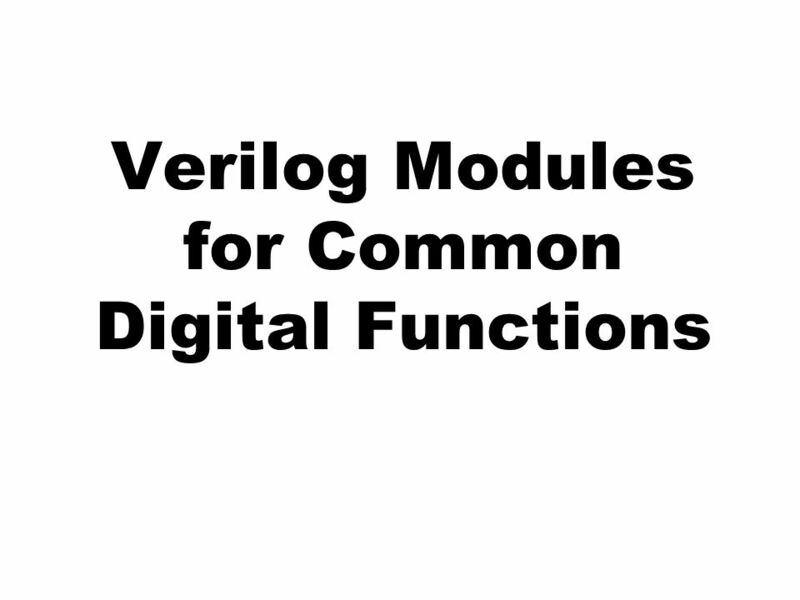 Download ppt "Verilog Modules for Common Digital Functions"
//HDL Example 4-10 // //Gate-level description of circuit of Fig. 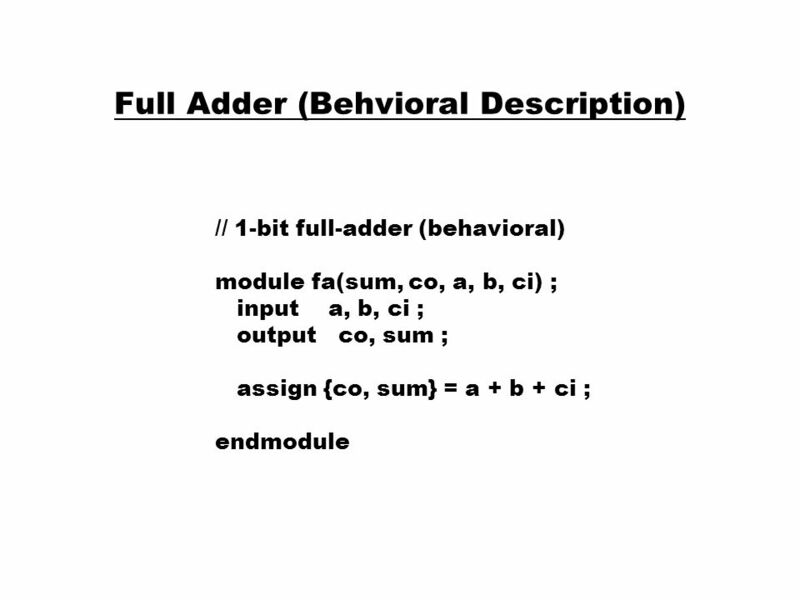 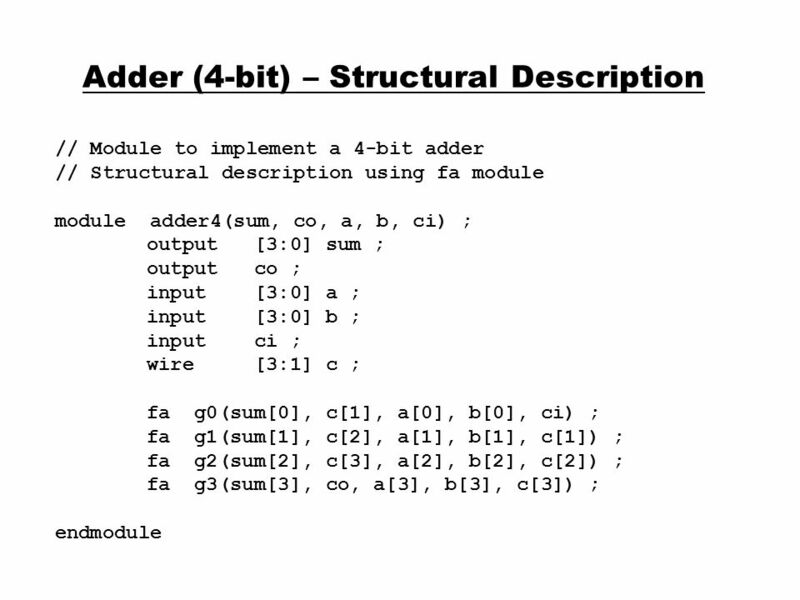 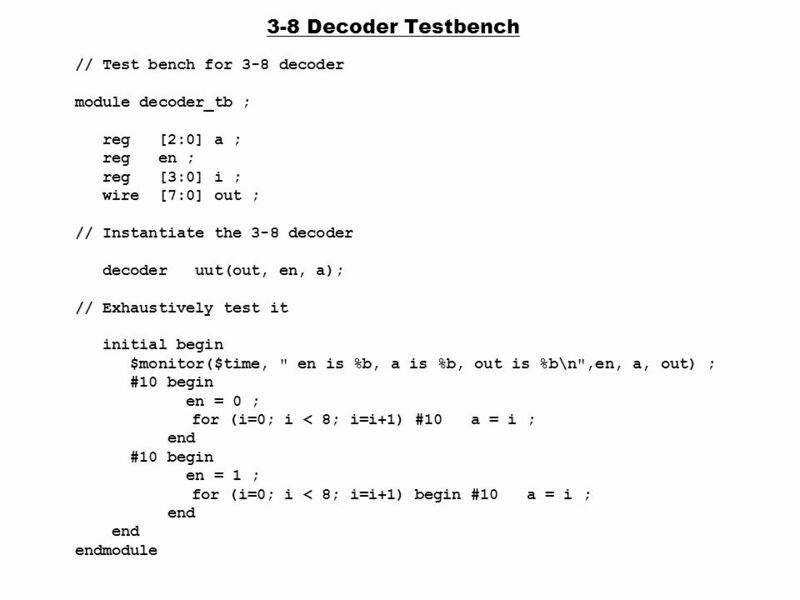 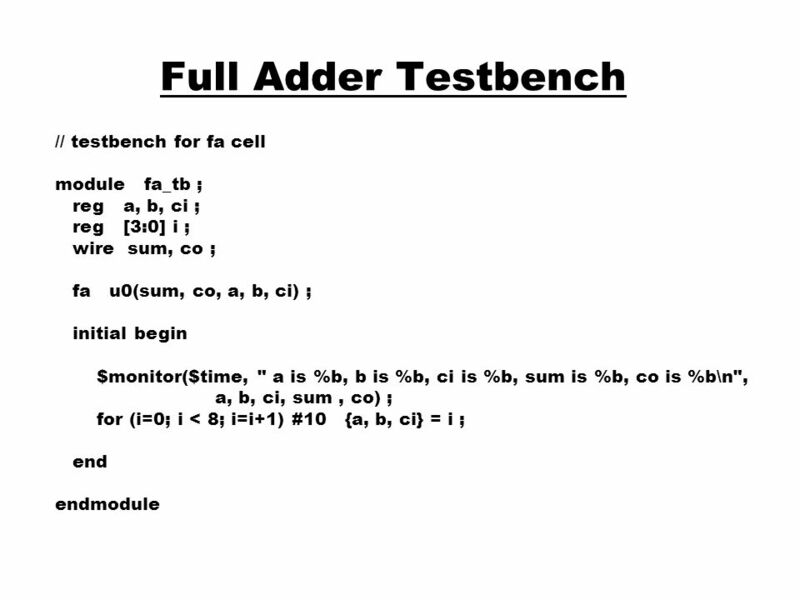 4-2 module analysis (A,B,C,F1,F2); input. 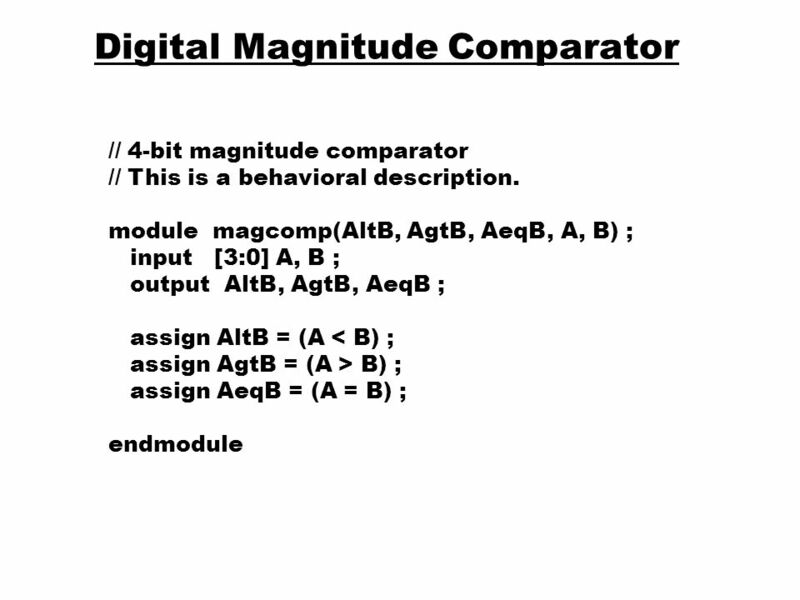 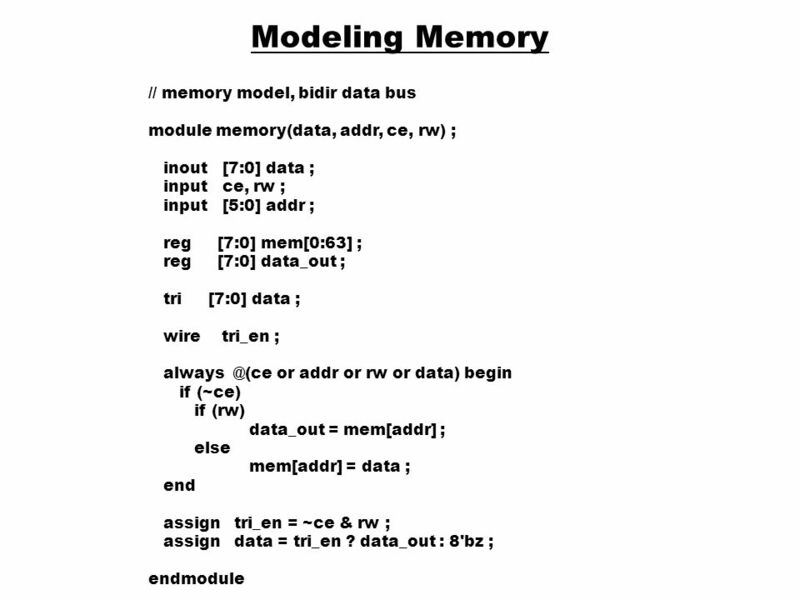 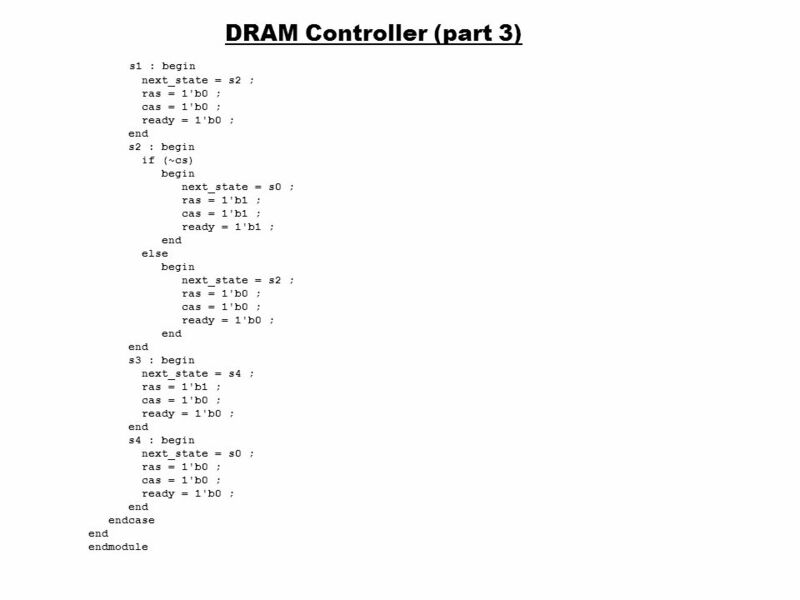 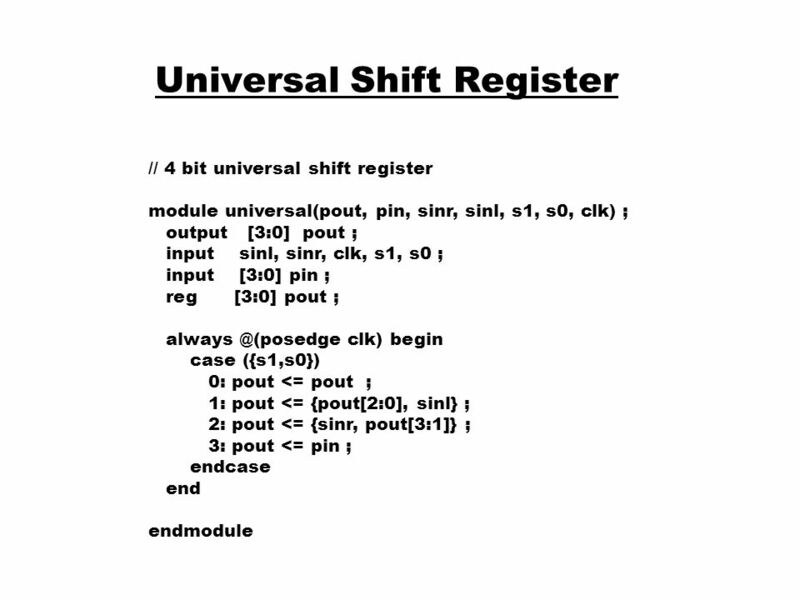 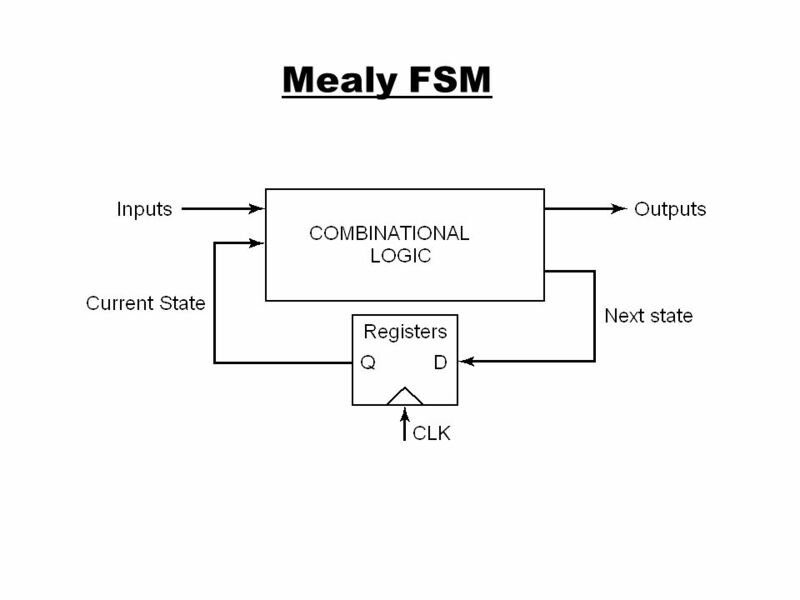 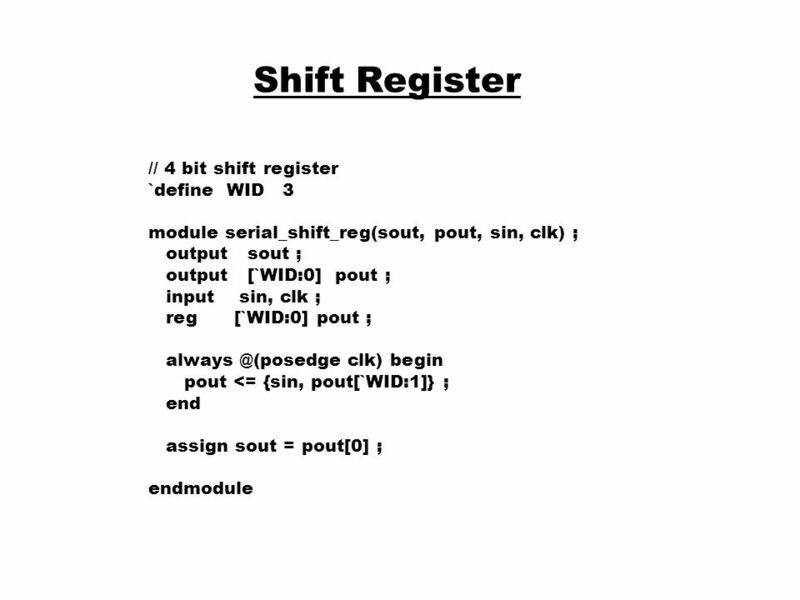 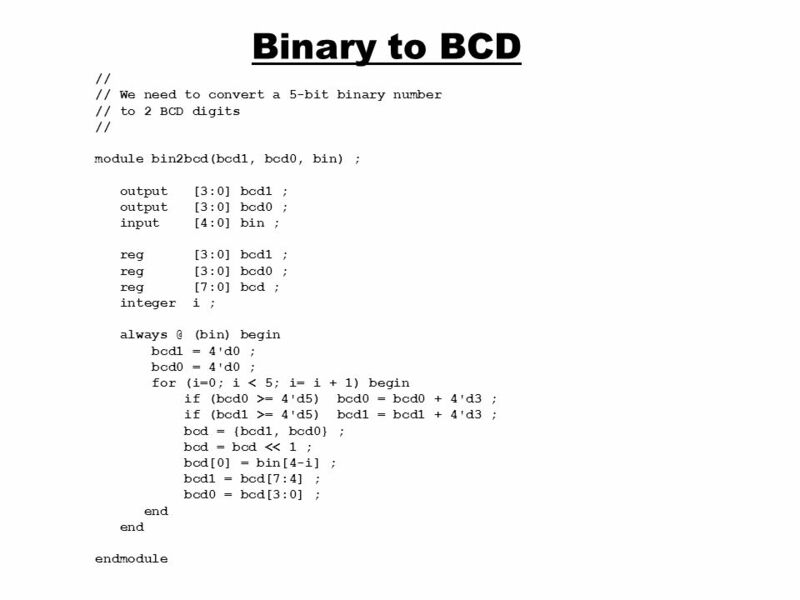 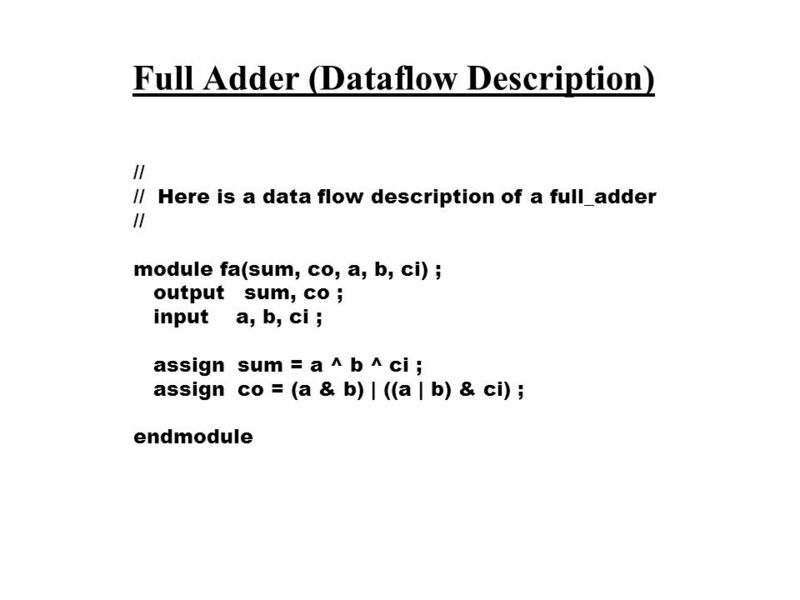 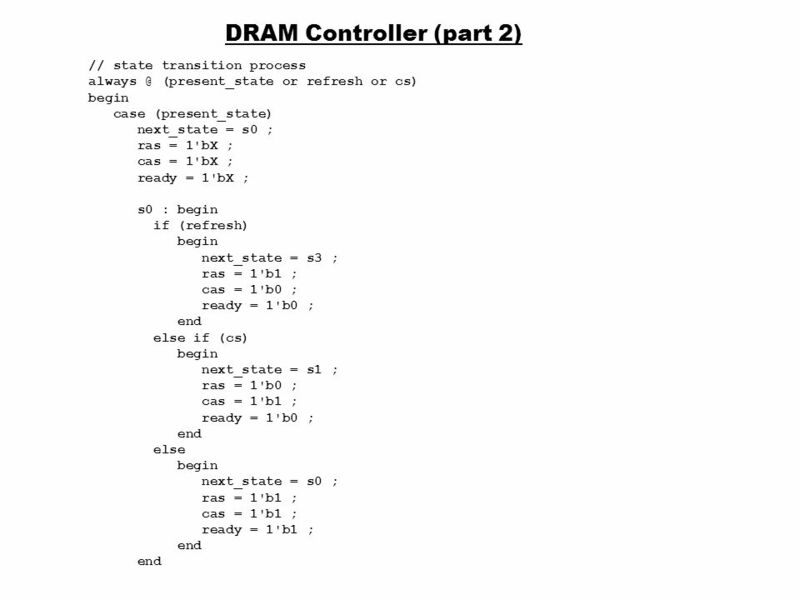 February 6, 2009http://csg.csail.mit.edu/6.375/L02-1 Verilog 1 - Fundamentals 6.375 Complex Digital Systems Arvind February 6, 2009 FA module adder( input.